President Emmerson Mnangagwa's special unit on anti-corruption is investigating alleged rampant abuse of funds at the government-owned Premier Services Medical Aid Society (PSMAS) amid claims that top executives bought luxury cars at a time the health insurer was struggling to provide basic services. According to insiders, a whistleblower submitted detailed information to the unit led by Tabani Mpofu on how executives were allegedly siphoning money out of Premier Service Medical Investments, a subsidiary of PSMAS. Mpofu yesterday confirmed the investigation, but said he was not in a position to provide further details as he was out of town. However, the "dossier" seen by this publication shows how the top managers including PSMI CEO Farai Muchena were allegedly looting from the insurer that mainly services civil servants. Board members are also accused of abetting the alleged corruption by involving themselves in the day-to-day running of the insurer. "The PSMI system is shamefully entrenched in corruption," reads part of the report before the investigators. "We are not in the transport industry, but surely this is pathetic to have a huge fleet of 250 cars for a company yet pharmacies are empty, no chemicals, it is just pathetic. "In 2017 the company decided to buy brand new cars from suppliers (and the) selection of suppliers was not advertised, but cars were purchased. "When the cars came, there was no clear allocation. Instead of the human resources department conducting the issuing of vehicles, board members decided to do it." 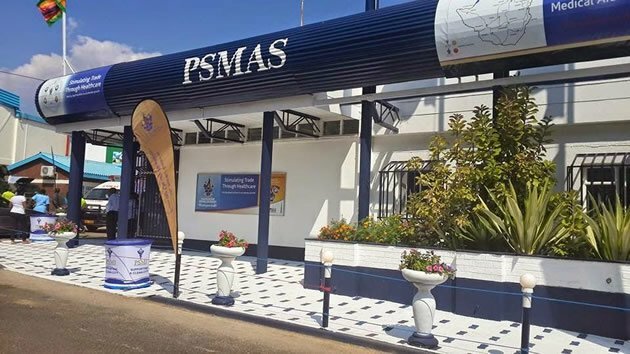 PSMAS is a public health insurance agency with the bulk of its members being civil servants and, through PSMI, it runs medical centres across the country. The "dossier" details how at least $15 million meant for medical aid claims was allegedly being siphoned out of PSMAS through PSMI and externalised by executives. PSMI employees were allegedly not happy that millions were being spent on luxury vehicles for executives while the ambulance fleet was not being replenished.